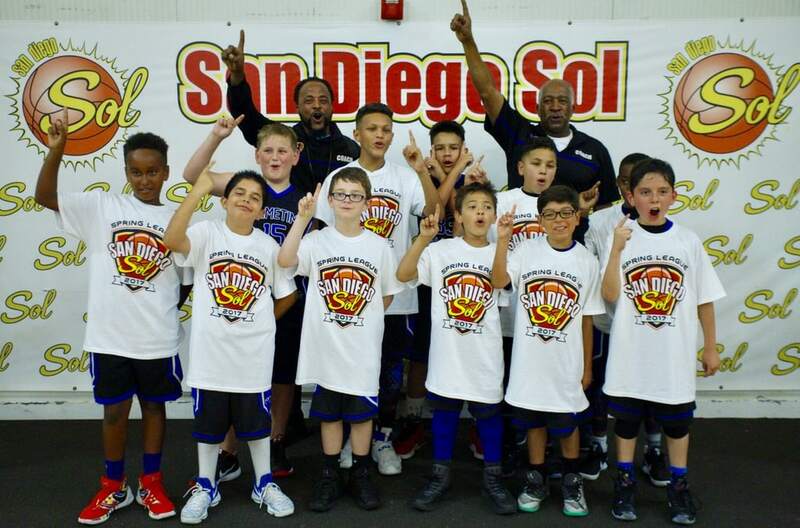 Are you looking for the next level of youth basketball? 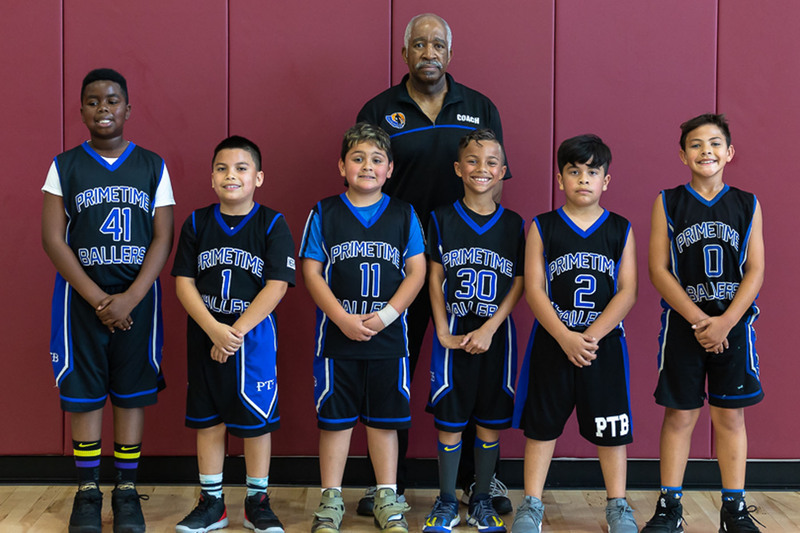 Are you looking to play/learn basketball year-around? We play/train year-around basketball, just basketball. 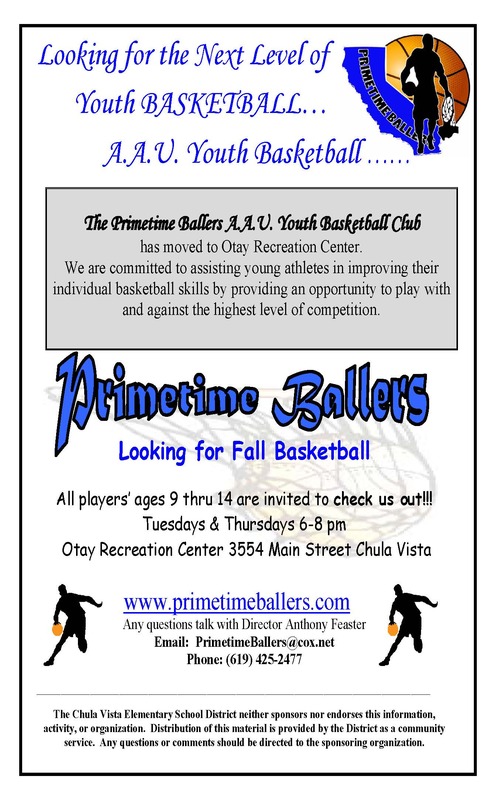 Give Primetime Ballers Youth Basketball Club a chance to improve your game. Just click the link below, print and fill out the application and bring it to Coach Feaster during Tuesday or Thrusday practices. 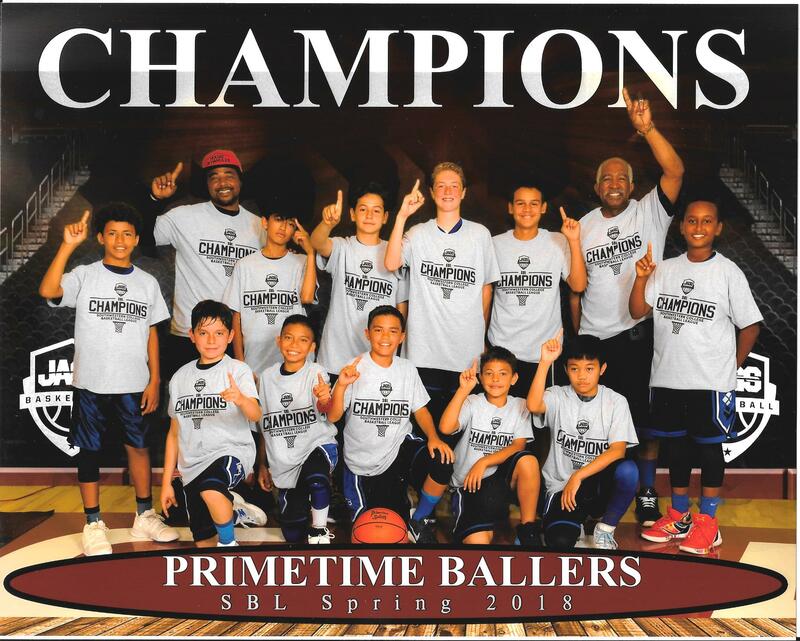 Interested in joining the Primetime Ballers basketball Club, for our Spring Basketball Season click the "Join Now" link below. 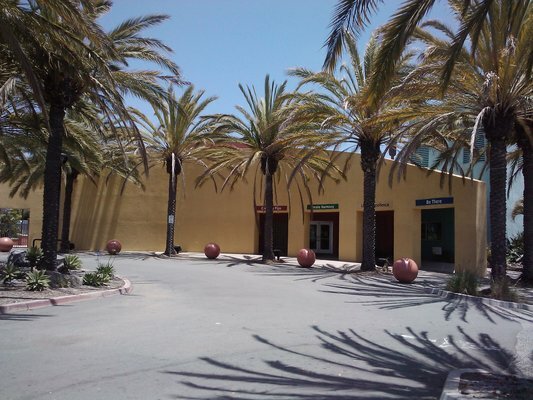 Primetime Ballers are proud to call the Otay Recreation Center their new home. Primetime Ballers practice routine is broken up into three distinctive groups. These groups are designed to concentrate on developing the player’s ability to compete at various levels of the sport. 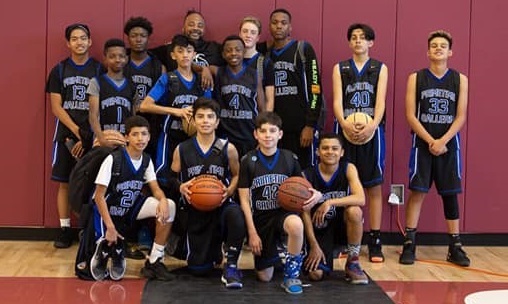 Focusing on the fundamental aspects of basketball, allows our club to graduate our players to the next level with minimal effort. The following is an example of Primetime’s workout schedule. Primetime Conditioning workout’s are designed to improve the players overall performance on the court. Our conditioning methods target stamina, agility and dexterity. These are the three crucial components for any sport. Primetime’s workouts are a critical part of the practice session. 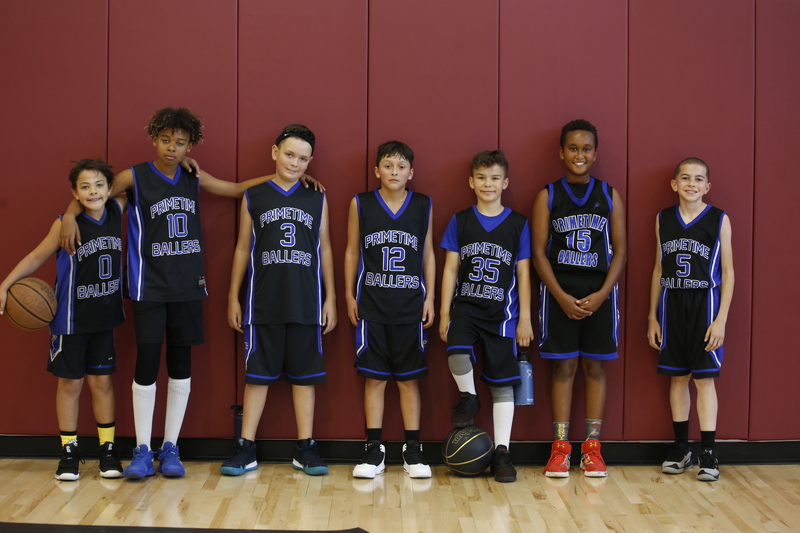 During the workout session, players demonstrate their fundamentals knowledge of basketball, the ability to dribble, shoot, and ball handling skills. Toward the end of the practice schedule, all players will engage in a scrimmage match with each other. This allows the player to apply their techniques and skill acquired during the workout and conditioning sessions. 30 minutes before game time!! Primetime Ballers Basketball Registration Form. Develope basketball skills needed to improve your game. 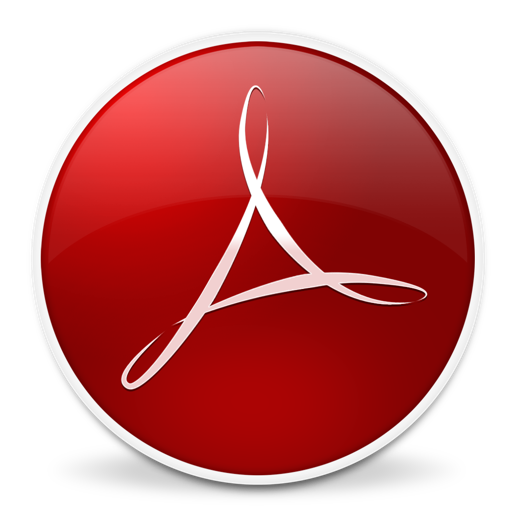 Form requires Adobe Reader Click the icon to download reader. Like us on facebook !!! Like us on facebook !!! We want to hear from you. Visit our Facebook page and select the like button.